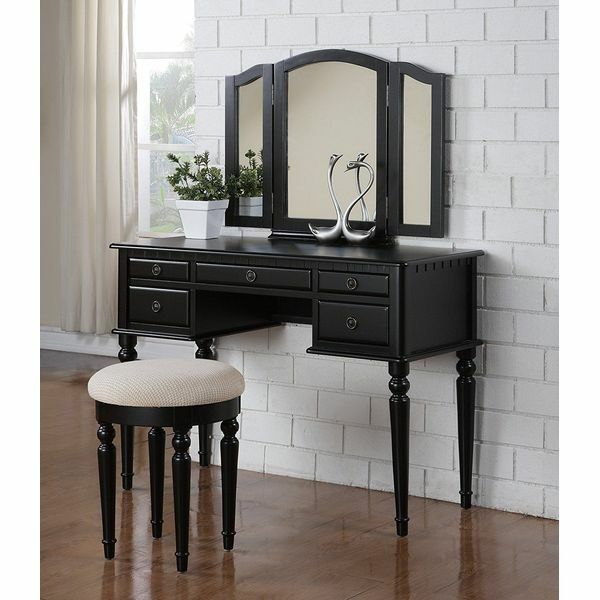 The Crown Mark Vanity is sure to bring a touch of sophistication to the look of your bedroom or bathroom. 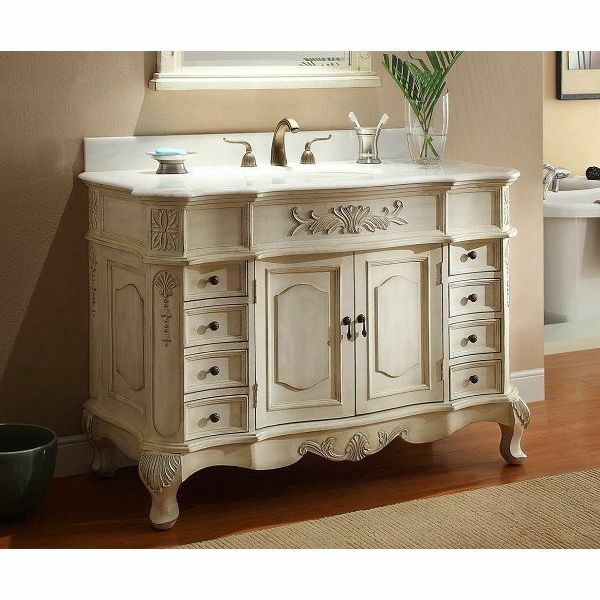 The vanity unit includes an oval mirror mounted on decorative carved posts and a single-drawer with an ornate pull. The matching stool that accompanies the vanity has an upholstered seat with a damask floral design. 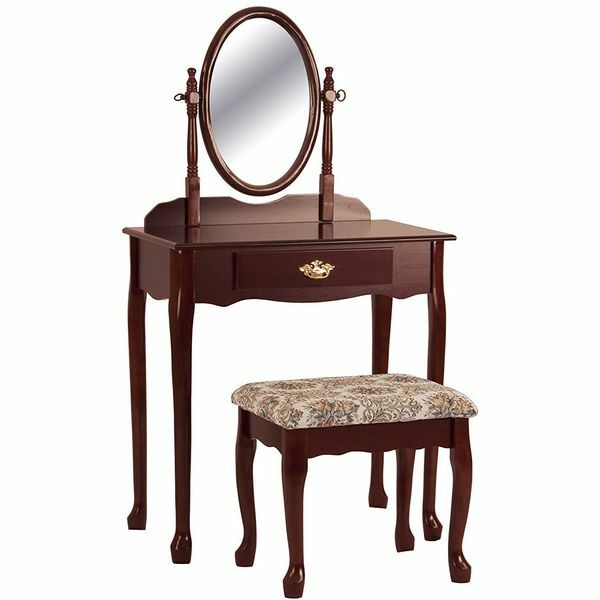 The Warm Cherry Vanity with Mirror and Upholstered Stool makes it easy to stay organized while maintaining an elegant look in the bedroom or bath. The vanity has one large drawer flanked by two smaller drawers and two deeper lower drawers. A three-panel mirror and a round stool with cream-colored upholstery finishes the set. 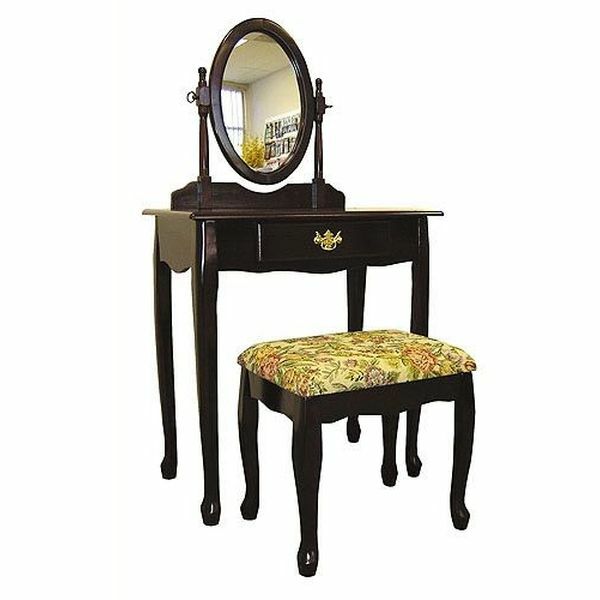 The Bobkona St. Croix Collection Vanity Set with Stool is at once vintage and mod. The unique mix of styles comes from the combination of the contemporary black finish and antique details like the carved tapered legs and retro knocker pulls. 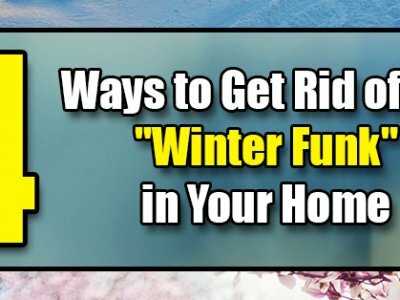 The round stool with padded upholstered top is included with the vanity. 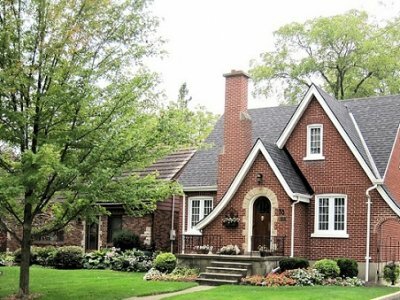 When guests see the 42″ Traditional Style Antique White Bathroom Sink Vanity, they’ll think you rescued this exquisite piece from an old home! 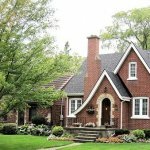 Incredibly authentic due to its elaborate molding and antiqued white finish, this stunning vanity includes a total of eight drawers and a pair of cabinet doors in the middle. 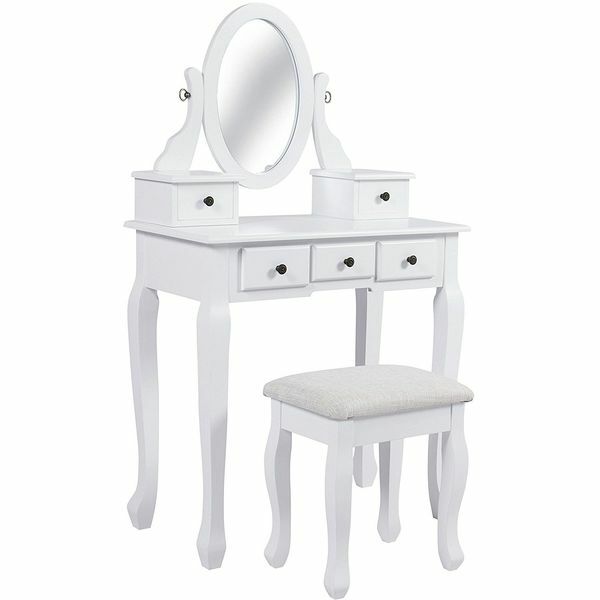 The Best Choice Products White Vanity Table Set is a lovely addition to a master bedroom or girl’s bedroom thanks to its charming vintage-inspired design. Five petite drawers make it easy to stay organized, and the oval mirror is perfectly proportioned to help with getting ready. The round stool comes with the set. 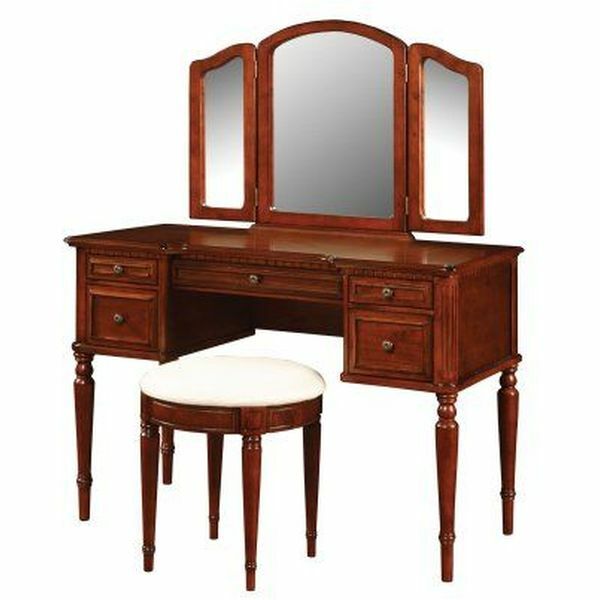 The Frenchi Home Furnishing Two Piece Vanity Set with Queen Anne Design, Rich Cherry Finish exudes class and Old World glamor. The dark cherry finished set features magnificent details like a lovely brass-finished pull on the single drawer and a luxurious tapestry upholstered seat in tones of yellow, lavender and dusty rose.